The measurement of seeds with multiple measurement devices. 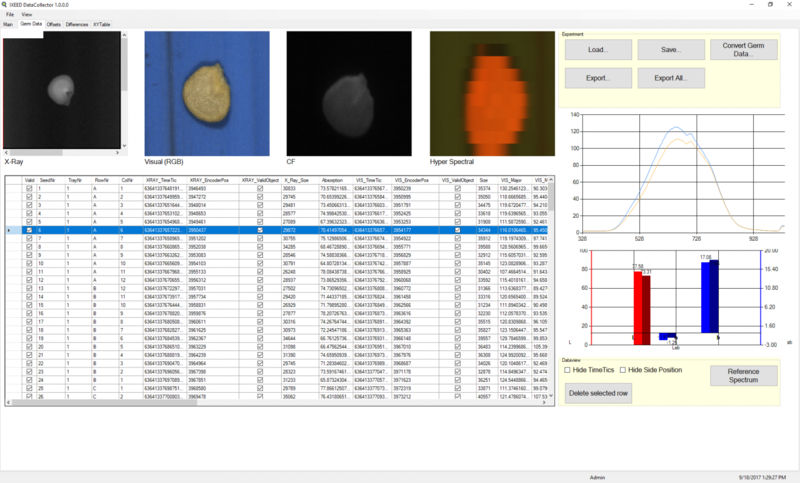 Capture and analyse big data of seeds. 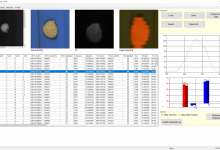 The DataCollector is a versatible seed measurement & analysis platform. 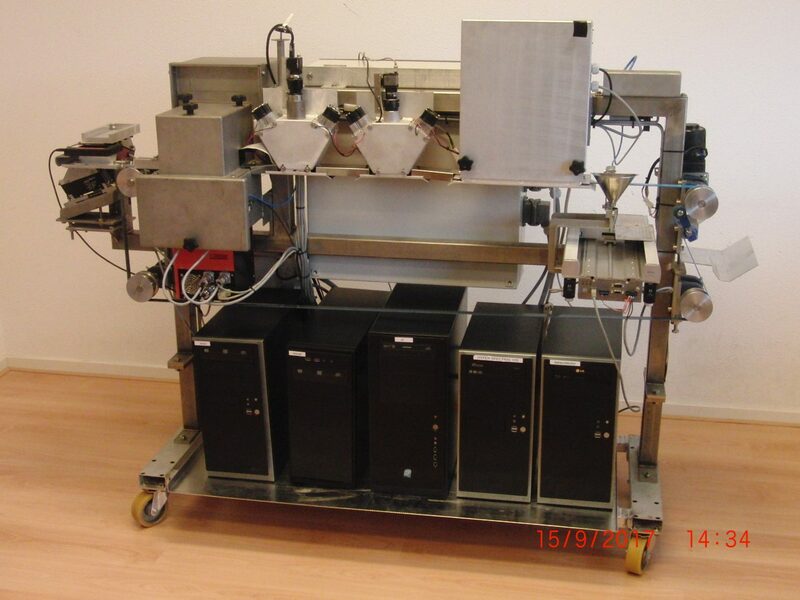 The hardware comprises a seed feeder to separate and dose seeds, multiple measurement modules to characterize the seeds and optionally a sowing device. 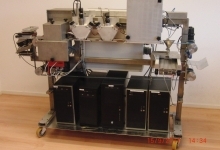 The sowing device can be used to sow the seeds in micro-titer plates or custom sowing trays/seed carriers. All seeds are measured and tracked individually, resulting in a large dataset for each single seed. In case of a sowing device, the data of each seed is linked to the sowing coordinate. This provides the opportunity to link germination data or traits of the resulting seedling to the measurememnt data of the originating seed. The DataCollector platform consists of a base frame with conveyor, seed feeder and control/data collection unit. To this platform, several different modules can be added to obtain the desired functionality. Data export is based on CSV formatted data and accompagnioning images if standard TIF/BMP format. For labeling the seeds with germination or other data like specific traits of the seedlings, the DataCollector produces Excel sheets for importing and linking this data.